Accommodations range from rooms to 2-bedroom villas. Some lodging is oceanfront, some wooded or resort view. Beautiful resort. Loved that restaurants and shopping were on site. Staff was very accommodating. Golf course was awesome. Stayed 2/14/16 thru 2/18/16 and had an exceptional time! Tee Times USA was extremely helpful with all of the planning! The staff @ The Villas were accommodating and friendly! Enjoyed staying at the villas. Had a great time. The 3 bedroom condo was great and had everything weneeded. Very nice accommodations. The Villas was as expected. Very Nice. Beautiful hotel. Oceanview room was comfortable.Complimentary full breakfast was first rate. The amenities werequite extensive and luxurious. If you have stayed at The Villas of Amelia Island Plantation, we would like to hear from you. 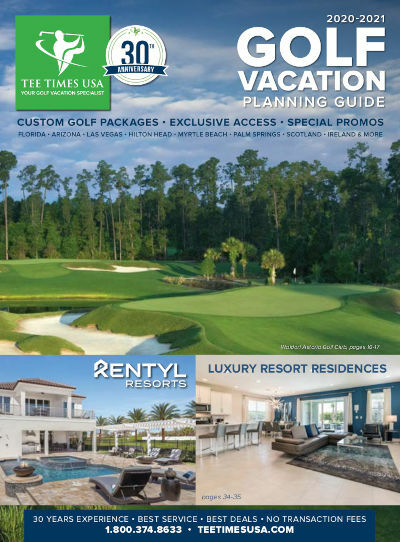 Nestled between the Atlantic Ocean and Amelia River in northeast Florida lies a secluded island paradise offering an unsurpassed resort experience: Amelia Island Plantation. Located on three and a half miles of wide, uncrowded beach, The "Villas of Amelia" provide guests with special features, room configurations and amenities. Each villa is unique and different, most feature fully equipped kitchens, dining areas and spacious living rooms. Most villa complexes offer at least one pool. The resort features 54 holes of championship golf. The Amelia Links layout-referred to as Oak Marsh and Ocean Links provide a wonderful variety with play among the live oak maritime forest, along the Intracoastal salt marshes and paralleling the resort's magnificent beach. Both courses offer many different challenges to golfers of all levels. Long Point, the award-winning 18-hole layout designed by Tom Fazio, has been described as the prettiest golf course in Florida. Following the natural contours of the land, Fazio has sculptured a wonderful golf experience stretching from Intracoastal to the ocean. Please note that the Amelia Island Plantation Community Association does not permit motorcycles on the property.